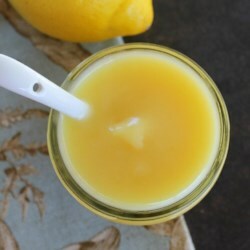 I haven't made Lemon Curd yet, but I'm puzzled by comments about the cooked eggs. To keep the eggs from cooking, just mix the butter and sugar together, creaming them just as you would when making a cake. Then add the eggs, one at a time, and mix each one in real well. Then add the lemon juice and zest. Then heat in pan. The eggs will not cook!